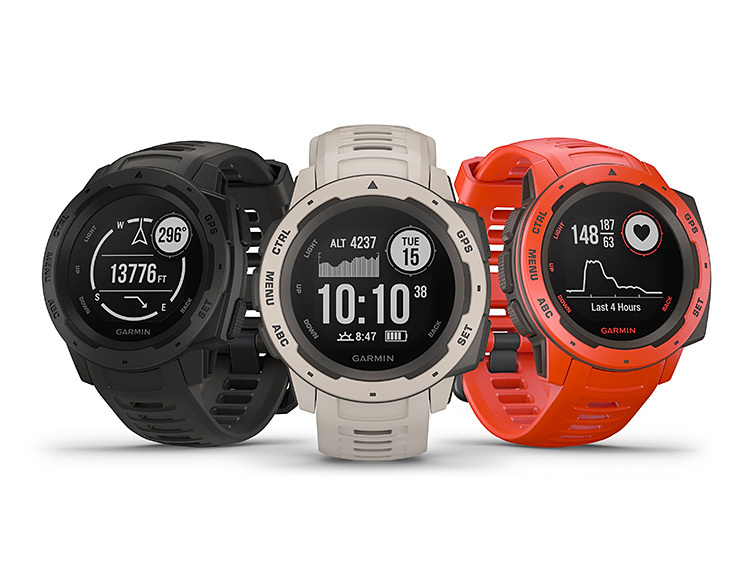 The all-new and attractively priced Instinct Smartwatch from Garmin offers GPS, GLONASS, and Galileo satellite network location technology, heart rate monitor, daily stress tracking, calorie monitor, step counter, sleep tracker, and activity/goal alerts. There are swimming & cycling profiles as well as workouts, drills & loads of other sports metrics. It pairs with Android & iPhone devices, offers 40-hour battery life, and is waterproof to 100-meters.